When pregnant with my 2nd child, I found adorable bedding at Pottery Barn. The bedding was themed after the Eric Carle book "The Very Hungry Caterpillar". I could not find curtains anywhere. 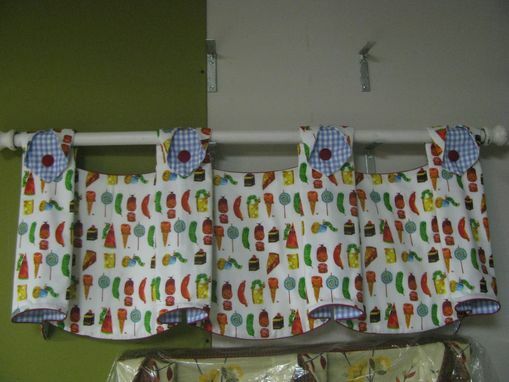 I had read about this website, so I submitted a request for custom-made curtains and/or valances for the nursery. I was very impressed with the ideas and sketches submitted by The Well Dressed Window. They were creative and different. I was somewhat hesitant because of the cost, but I was really excited to have a complete nursery. Upon receiving the valance (On time! ), I was thrilled with the quality. The design was just as sketched, the execution was flawless. I understand now why it was on the expensive side...the craftsmanship was impeccable. I would definitely recommend the Well Dressed WIndow. 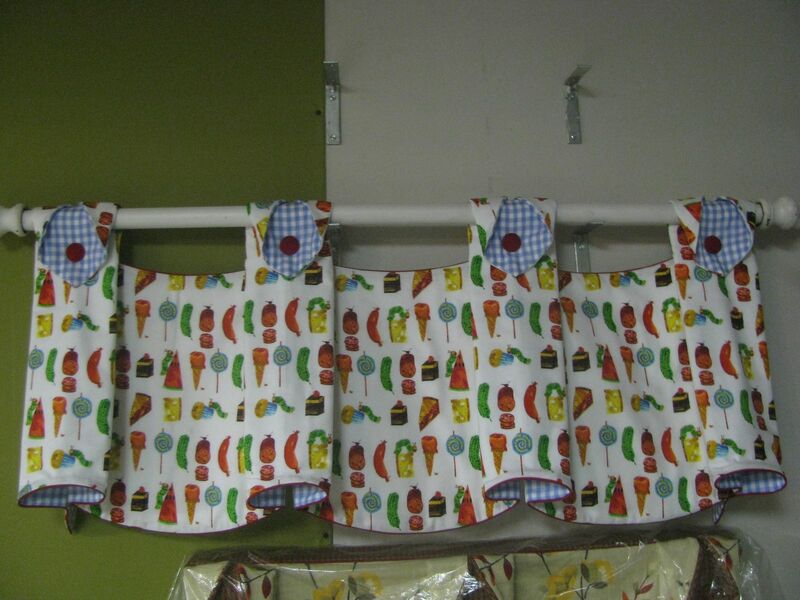 Julia-style valance in "The Very Hungry Caterpillar" fabric with blue & white gingham and red trim and buttons. Created for a baby boy's nursery.